On February 28, I communicated with you about the enforcement of our student conduct policy and dress code practices to better meet our responsibility to provide an educational environment in our schools in which all students can fulfill their highest potential. Our policy states that any clothing that interferes with or disrupts our educational environment is unacceptable. This requirement has always been present in our policy; it is not new. Effective tomorrow, Tuesday, March 12, the wearing of clothing with imagery associated with organizations that promote white supremacy, racial division, hatred, or violence will not be permitted in our schools. This is an important conversation for us to have in schools, at homes, in coffee shops, and pubs. Posting with permission. It has been almost two weeks since I issued a statement in response to a controversy over a student project related to the study of To Kill a Mockingbird in one of our English classes. This incident elicited many emotions, from anger among our visiting girls’ basketball team to surprise and then concern among our own students who were unaware of the situation. It is important for us to understand how our visitors felt about what was displayed on the student project as well as our own students’ feelings. While the conversation began because of the historic images used in a student project, this situation has sparked a larger dialogue around issues of racial equality, respect, tolerance and inclusiveness in our relationships with one another in our community. We see this as an important opportunity which should be seized. We are now at a point in time when, collectively, we can address, head-on, many of the issues that concern us. This is an opportunity to listen, learn and work together for the benefit of our community. We already have many mechanisms in place to support this discussion. We must use these structures and others to increase dialogue and build understanding. Last year we created the Western Feeder Pattern Diversity Focus Group comprised of elementary, middle and high school teachers, parents and administrators. This group was formed to address issues within our own community around diversity and to help all of our schools provide a more supportive atmosphere for all kids. We have an Equity and Diversity team of teachers and staff at Western who are focused on understanding biases in our school and in our practices and is working with staff and students for equality, equity and success for all of our kids. Our school improvement climate goal this year is focused on empowering all kids to have voice and agency and to be comfortable in stepping up when they see things that are harmful to others. We want our students to develop and actively use bystander awareness strategies to support each other and a healthier school community. As principal, I see our students achieving in many areas as part of our school and division. Academically, students regularly challenge themselves to take many of the most rigorous classes offered. On the stage and athletic fields, our students compete at the highest level and challenge themselves and their teams in competition. We must remind ourselves that achieving these goals should never be in the absence of qualities that best exemplify us as learners and leaders: sportsmanship, character, and integrity. I care deeply about each one of my students, as does every member of our staff. We have and will continue to accomplish great things. If we are to continue to move forward as a caring, supportive, high-performing community, we must work together to better understand the contributions each of us will make. We need more honest conversations about school culture and student experiences. Such conversations often are not easy, but they are necessary if we are to ensure that racism, bigotry and all forms of harassment will have no place in our schools. I know we can create the most respectful and best learning environment for every one of our kids. In the near future, I will be reaching out with information on opportunities for parents, students, and community members to join us in this work. I hope that you will partner with us as we move forward. We will continue to find ways to improve. For your child. For every child. A homework assignment depicting racist themes in the novel “To Kill a Mockingbird” sparked controversy Monday when the English classroom at Western Albemarle High School was used that evening as a changing room for the Fluvanna County High School girls’ basketball team. Western Albemarle Principal Darah Bonham said the poster was part of a project on Harper Lee’s novel set in 1930s Alabama that asked students to analyze themes such as racial tension, injustice and poverty, and then draft written and visual depictions of them. Read the whole thing at Charlottesville Tomorrow. An architectural consulting firm told the Albemarle County School Board on Thursday that the county would soon need new high school facilities to accommodate growing enrollment and implement innovative educational programs. “We have to look at what the competition is doing around the world and around the country, and do what makes sense for the benefit of our kids and their education,” said Board member Jonno Alcaro. The division forecasts much more rapid growth at Western Albemarle High School in Crozet. Enrollment at WAHS is expected to increase by more than 21 percent, reaching a high of 1,335 in 2024. A planned 10,000 square-foot addition of science classroom space at WAHS, scheduled for completion in 2019, was not factored into the study’s capacity calculations. Cool video about Western Albemarle High School, celebrating its 40th year! Western Albemarle Crew had a fantastic showing at the Virginia State Regatta Championships this weekend in Occoquan. 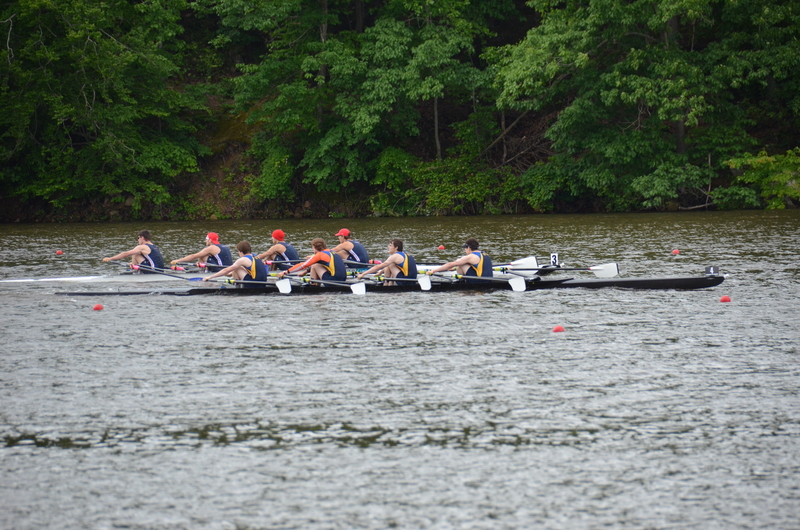 Western Albemarle’s Crew team entered ten boats in the Virginia State Rowing Championships hosted this past Saturday by the Virginia Scholastic Rowing Association and brought home eight medals: four gold, two silver and two bronze. Both the women’s and the men’s senior quads dominated their races; a particularly satisfying accomplishment for the WAHS men’s quad as they had never won that event. 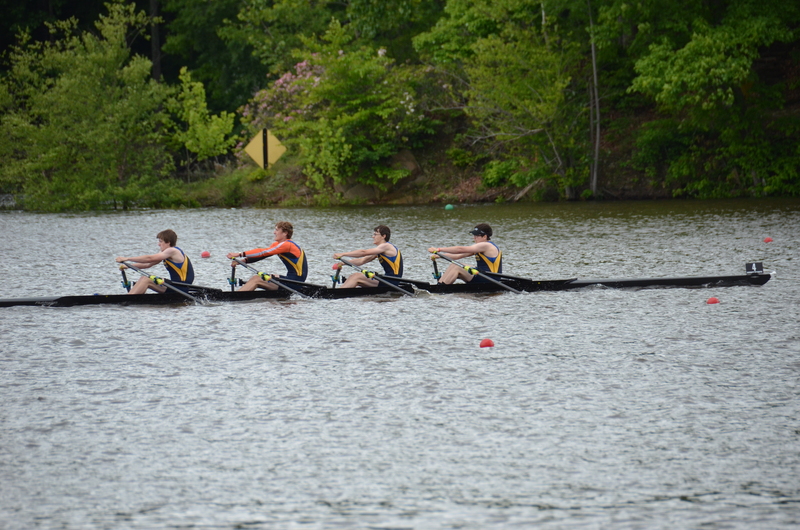 Peter Dister, Noah Davis, both juniors, and seniors Spencer Hale and Wiley Martin rowed the quad to the win, automatically qualifying to compete at the Scholastic National Championships later this month. The women’s senior quad had quite a legacy to uphold; it had not only won the State Championships, but had gone on to row to gold in the 2016 Scholastic National Championships. Two of the members of the 2016 quad graduated, but team captain Carrie Smith and Maggie Vidal, both seniors returned and the team added senior Grace von Elten and junior Hannah Carter to continue the quad’s winning tradition. 5 Gold, 2 Silver, 2 Bronze, 2 Fourth!! The men’s team won in the men’s quad, scored a 3rd in the men’s double, a second in the men’s junior double, won in the men’s lightweight single and men’s junior single. The women’s team won in the women’s quad, were also 3rd by .1 seconds with women’s junior quad, 2nd and 4th in the women’s lightweight double, 4th in the women’s junior double and won in the women’s junior single. Note: Last year, WAHS won National Championships, too!